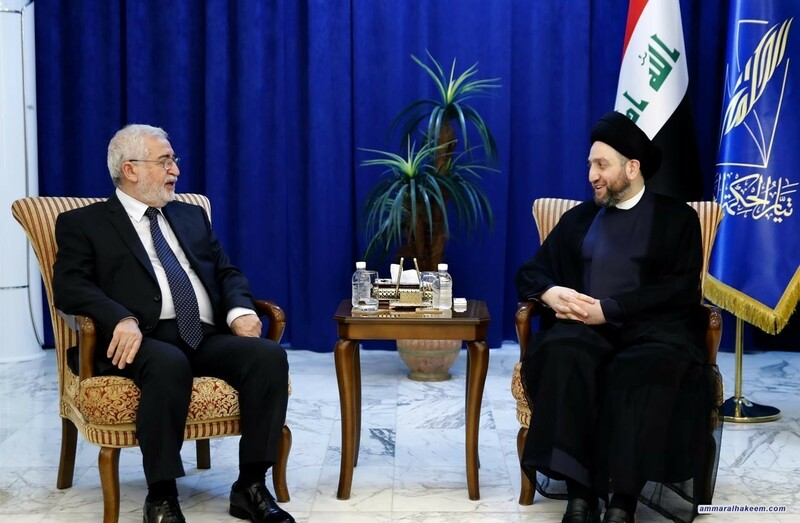 His eminence with the delegation discussed completing the government's formation and developments in the regional political situation and its impact on Iraq. His eminence stressed assigning qualified ministers characterized by efficiency, integrity and high management ability, noted that the current phase requires focusing on serving the citizen, providing services and the aspirations of the people and employment opportunities, called for completing important legislations and laws, especially that are complementary to the constitutional texts. Regarding the regional and international situations, his eminence indicated that Iraq is influential and influenced by its regional and international environment, pointed to the status of Iraq and its capabilities in playing the role of mediation and convergence of views among the parties, and Iraq is qualified in this regard, because of diversity and political experience which became a focus of the world acclaim, particularly after the model presented by Iraq in terms of peaceful transfer of power and the exchange of roles.